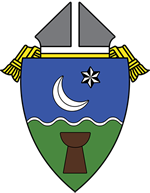 We assist the Archbishop in supporting ordained, religious, lay ministers, and employees. We implement and administer lay personnel policies and oversee the safe environment program. Safe Environment Coordinator, +1 (671) 562-0029 or safeenvironment@archagana.org. Click the following links for more information. Feel free to contact us with the information provided above for any specific questions.